I was inspired by this and my love of playing with shrinky dinks to create this project. I used a sheet of white shrink film. I had it left over from an angel place card/ornament project my niece and I made several years ago. This was an easy project with cute results. 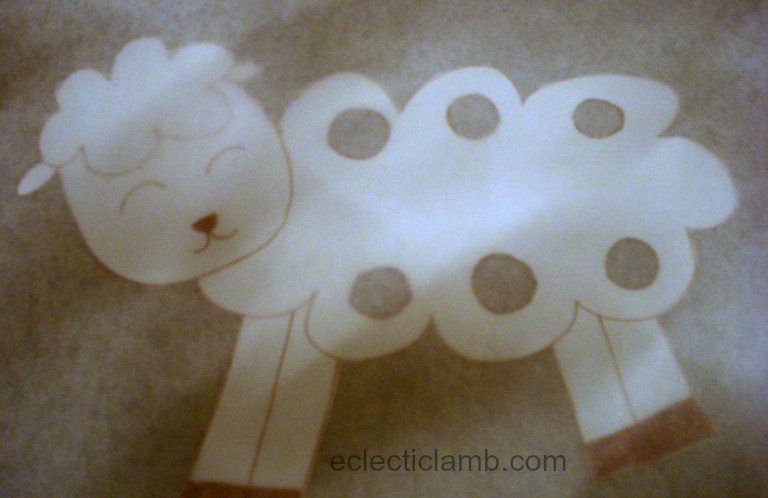 Step 1: Use a permanent marker to draw your image and holes for embroidery floss on a piece of shrink film. Step 2: Use an exacto or craft knife to cut-out holes for embroidery floss. Step 3: Use scissors to cute around shape. Step 4: Put shape to be shrunk on a cookie sheet between two pieces of parchment paper. 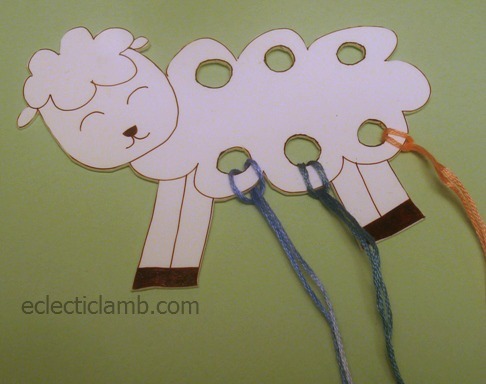 This entry was posted in Crafts, Embroidery and tagged how to make an embroidery floss organizer, lamb, sheep, Shrinky dink, tutorial. Bookmark the permalink. How cute! 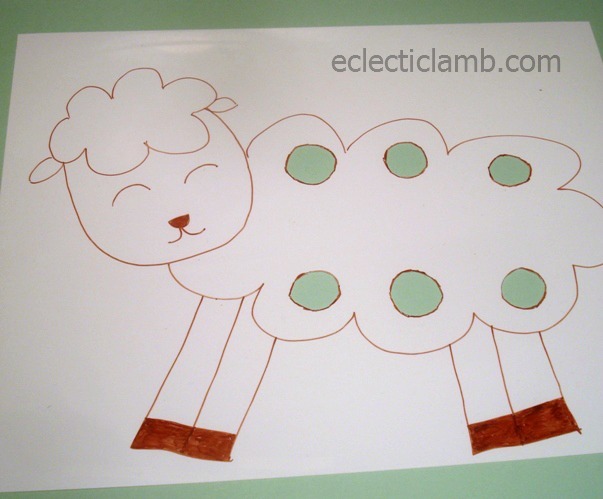 I collect sheep — dolls and figurines, not live ones. Thank you! 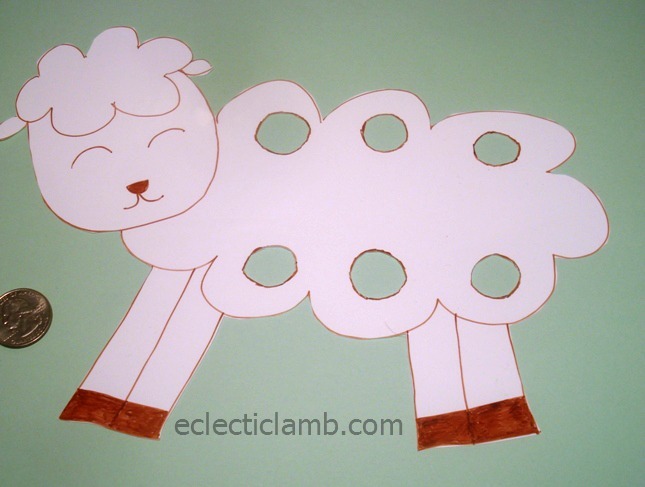 I am not always happy with how my crafts turn out but I like this sheep. 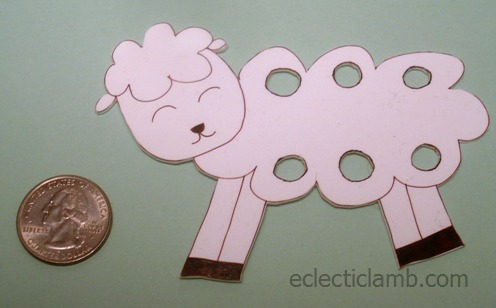 That really is cute (and would save loose pieces of floss from ending up in the vaccuum! ).